A deciduous, spreading, often multi-branched tree up to ca. 25 m tall. The sap can be irritating to some people. 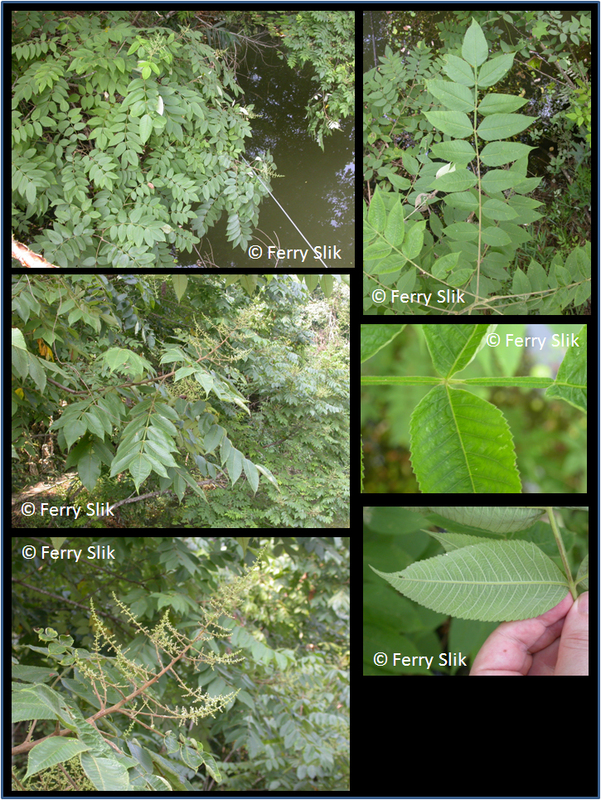 Leaves compound (7 to 13 leaflets) and often winged petioles, alternate. Leaflets ovate to oblong with serrate margins. Flowers in 15 cm long panicles, creamy white. Fruits orange-red. Lowland to montane forests, on open sites, often along streams. Up to 2800 m elevation. From India and the Himalayas to southern China, Japan, Taiwan and Southeast Asia into western Indonesia (Sumatra). The species is used to produce galls which are used in Chinese medicine to treat coughs, diarrhea, night sweats, dysentry and to stop intestinal and uterine bleeding. The leaves are rich in tannin. They can be collected as they fall and used as a brown dye or as a mordant. A blue dye is obtained from insect galls on the plant, it can also be used as an ink. The galls are formed as a result of damage by the greenfly, Aphis chinensis. The galls contain up to 77% tannin. The reports do not say if the galls are harvested before or after the insect has left the gall. Fruits are edible. An oil is extracted from the seeds. It attains a tallow-like consistency on standing and is used to make candles. These burn brilliantly, though they emit a pungent smoke. The wood is soft and is not used. China: Yan Fu Mu (China). English: Chinese Sumac; Nutgall tree.